Idaptive redefines security from a legacy static perimeter-based approach to protecting millions of scattered connections in a boundary-less hybrid enterprise. Idaptive is the only recognized leader in both the Privileged Identity Management space and Identity-as-a-Service space. Idaptive provide a single platform to secure every user’s access to apps and infrastructure in today’s boundary-less, hybrid enterprise through the power of identity services. Idaptive Identity Service improves end-user productivity and secures access to the cloud, mobile, and on-premises apps via single sign-on, user provisioning, and multi-factor authentication. 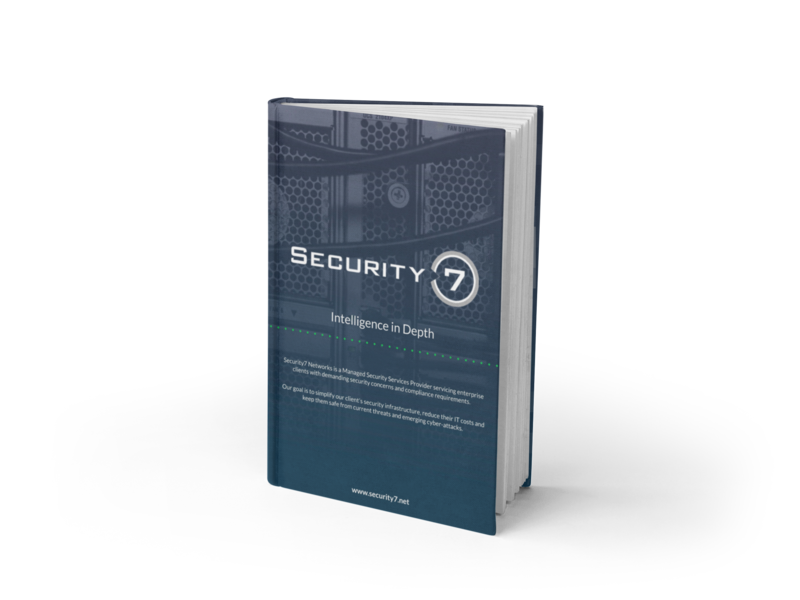 Learn how Security7 can help you protect your business from cyber-attacks! © 2017 by Security7 Networks. All rights reserved.